Written by Jennifer L. Gaudiani, MD, CEDS and originally featured on the Project Heal website. 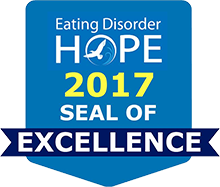 For the past year, as I speak and write passionately about the medical complications of eating disorders, I’ve admittedly gotten a little stuck when I talk about the medical complications of Binge Eating Disorder (BED). Not everyone in a larger body has BED, and not everyone with BED is in a larger body. By no means does everyone in a larger body have medical complications of so-called obesity, a word I use as little as possible. So, when talking about the medical complications of BED, where does one start? The answer has been getting clearer and clearer to me: I believe the #1 medical complication of BED is sub-standard general medical and surgical care, arising from weight stigma. The few studies that exist on BED and medical complications focus on problems traditionally associated with higher weight, as well as hypothesizing medical problems beyond obesity. This weight-centered approach doesn’t sit right with me. Strong evidence now exists that body mass index (BMI), which I never measure in my patients with BED because it doesn’t influence my care, is far less important to survival rates than overall cardiovascular fitness. A recent study of 29,000 diverse males and females found that reduced exercise capacity was a powerful predictor of mortality, while BMI was of limited importance. This study upheld findings by the Veterans Exercise Testing Study, which showed that the lowest death rates of 12,000 middle aged veterans were observed in the “obese men with a high exercise capacity.”  Evidence continues to grow that healthy people in larger bodies, with good exercise capacity, may indeed live longer than those in thinner bodies. Furthermore, the act of engaging in regular aerobic exercise and/or resistance training causes life-prolonging changes in a number of cardiovascular risk factors, independent of any change in body weight. I cite these robust outcomes studies because the overwhelming (and wrong) belief remains in this country that thin means healthy, and healthy means longer life. Once again I return to my message that one cannot tell whether someone is sick or well simply by looking at them. People in a wide spectrum of body sizes and shapes may be healthy…or may be sick. However, doctors routinely continue to bring their own, incorrect biases about weight and health to the bedside., I can’t even count the number of times my patients in larger bodies with BED have avoided going to their doctor, because the furniture, exam gown, and blood pressure cuff are not appropriate for their bodies, the BMI chart glaringly puts them in the “red zone,” and compassionate, thorough, thoughtful medical care can get hijacked by weight loss recommendations and tips. One of my patients with BED has had reflux (GERD) for over five years, and she’s never even been offered a proton pump inhibitor like omeprazole, which is the gold standard. I don’t think this is intentional, prejudicial treatment. But I do think the medical system has a long way to go to own and address its biases. I’ll give another, more serious example. When patients in larger bodies develop severe enough arthritis, say in their knees, to need surgery, they are often told by orthopedic surgeons to “lose fifty pounds before I’ll consider doing the surgery, because otherwise it’s too risky.” Now, losing fifty pounds is HARD, nearly impossible, because dieting doesn’t work (see below). However, let’s say someone starves themselves so consistently that they transiently lose the weight. They will be cruising into surgery severely malnourished, which does not bode well either for their ability to tolerate and heal from the surgery, nor is weight loss before surgery evidence-based to help outcomes. Doctors cite studies showing that high body weight can be linked to medical complications like diabetes, obstructive sleep apnea, and poorer wound healing. Knowing that these medical conditions can correlate with worse surgical outcomes, they prescribe weight loss. However, one large study examined the effect of a 5% decrease in body weight on postoperative infection and hospital readmission in almost 11,000 cases of knee replacement surgery. Only 12% of patients had this major weight loss in the year before surgery, and they had identical outcomes with those who did not lose weight! Another study noted that presenting to surgery malnourished from taking in too few calories and breaking down body tissue (i.e. losing weight) may itself cause poor wound healing and infection…the very complications weight loss is supposed to prevent. In fact, a study of almost 78,000 patients undergoing knee replacements showed that “morbid obesity” was not independently associated with most surgical complications. Rather, a low blood albumin level (a protein in the blood that can correlate with inflammation as well as poor nutrition) was associated with increased death rates and other complications. So once again, weight bias and a lack of focus on the medical literature can cause doctors, who certainly mean well, to make recommendations that a) may be impossible for a patient to follow, and b) that prevents a patient from getting optimal care, such as knee surgery when needed. The shame/blame game is in full effect here, even when not intended as such. I would vastly prefer that patients in larger bodies, who have medical complications of higher weight, be referred to a great therapist, RD, and MD to support excellent nutrition, more movement to increase strength, optimal management of medical issues, and attention to the soul’s needs…then (without having lost weight) proceed to surgery. To readers who are currently on a diet: please consider taking a new perspective on this. Stop the diet and transition to a Health at Every Size (HAES, https://haescommunity.com) philosophy that encourages people to celebrate size and shape diversity, eat enough of a wide variety of foods and mindfully enjoy them, and move for joy and vitality rather than in a compensatory or punishing way. This is just as true for those who are healthy as for those who have medical problems that might get better or “fixed” with weight loss. Alas, the fact of the matter is that diets still don’t work in these situations, so it’s better to care for your whole self and optimize modern medicine than to have those same medical problems AND be malnourished from caloric restriction, with a high likelihood of rebounding to a higher weight down the road. I fundamentally believe that when one follows HAES precepts, one’s body will take on a size and shape that are genetically determined. I note that it requires privilege to follow HAES, because many people don’t have access to good food, safe spaces to move, and their bodies aren’t safe for any number of reasons. I close by saying encouraging those in larger bodies, and those with BED, to self-advocate whenever possible. I respect that power dynamics (patient-provider) can make those conversations difficult. You are not required to be weighed at every doctor’s visit. They can document your refusal and leave it at that. Movements like HAES, organizations such as the Association for Size Diversity & Health (ASDAH, https://sizediversityandhealth.org), and individuals from dietitians, mental health providers, and physicians, are here to cheer you on. A recent paper encouraged “practitioners (to) locate the problem of fat shame in society as opposed to the individual person's body and provide individuals with tools to identify and resist fat stigma and oppression, rather than provide them with tools to reshape their bodies.” I couldn’t agree more. Lavie CJ, De Schutter A, Milani RV. Healthy obese versus unhealthy lean: the obesity paradox. Nat Rev Endocrinol. 2015;11(1):55-62. Italian Diabetes Exercise Study (IDES) Investigators; Balducci S, Zanuso S, Cardelli P, et al. Changes in physical fitness predict improvements in modifiable cardiovascular risk factors independently of body weight loss in subjects with type 2 diabetes participating in the Italian Diabetes and Exercise Study (IDES). Diabetes Care. 2012;35(6):1347-1354. Phelan SM, Burgess DJ, Yeazel MW, Hellerstedt WL, Griffin JM, van Ryn M.
 Inacio MC, Kritz-Silverstein D, Raman R, et al: The impact of pre-operative weight loss on incidence of surgical site infection and readmission rates after total joint arthroplasty. J Arthroplasty 2014;29(3): 458-464.e1. Schricker T, Wykes L, Meterissian S, et al: The anabolic effect of perioperative nutrition depends on the patient’s catabolic state before surgery. Ann Surg 2013;257 (1):155-159. Nelson CL, Elkassabany NM, Kamath AF, Liu J: Low albumin levels, more than morbid obesity, are associated with complications after TKA. Clin Orthop Relat Res 2015;473(10):3163-3172. Brown-Bowers A, Ward A, Cormier N. Treating the binge or the (fat) body? Representations of fatness in a gold standard psychological treatment manual for binge eating disorder. Health (London). 2017 Jan;21(1):21-37.